2019 brings a surplus of digital priorities for manufacturers. Perhaps you’re updating operations by automating processes or improving shipping times. Maybe you’re refining products through digital transformation and adapting to today’s digital marketplace. These processes are important to boost efficiency, but if you’re like most manufacturers, you aren’t focusing enough energy on something equally as important—the end user. These are the consumers who buy your product, take it home and tell their friends about it. These are the consumers whose opinions can shape your revenue curve. It’s likely that you’re not investing enough budget in understanding how they think and what drives their decision-making processes. And even if you are focused on understanding consumers this year, it probably hasn’t made its way into your digital-transformation strategy yet. Digital transformation in manufacturing has traditionally meant thinking inside-out: How can we improve the way we do things internally to lower costs and increase profitability? If all your digital-transformation efforts are wrapped up in internal applications, you may miss out on a very important component—the customer. Investing in technology enables more efficient processes, such as lower costs and better delivery times, but it’s also critical to leverage those that help gain actionable insights into your customers. To transform digital transformation (bear with me) into a competitive advantage, you need to think strategically from the outside-in: How can our marketing and technology teams use digital channels and analytics to understand our customers better? With this approach, you can shape a better experience—from the products you make to how you market and distribute them. Forrester predicts that 79% of manufacturing companies expect to compete on the basis of customer experience by 2020. Don’t be one of the 21% left wondering why you are losing customers to your competitors. When Febreze first launched, it fell flat. Marketed as an odor eliminator, Febreze had a hard time getting off shelves and into homes. It turns out that even the cleanest among us get desensitized to the odors we’re around every day. Know that weird smell that other people’s houses have? Do you know if your home has a weird smell of its own? Febreze engaged with their customers and found out that one power-user was spraying Febreze at the end of her cleaning routine as a reward—an exclamation point (!) announcing to the world the house was now clean. That single insight led them to reposition the product as a way to make your house smell as clean as it looks; a product that was a finisher, not a starter. If Febreze didn’t talk to its customers, we probably wouldn’t talk about Febreze. As Seth Godin emphasizes in his latest book This Is Marketing, it’s a whole lot easier to start with a customer and create a product that solves their problems than it is to create a product and go looking for someone to buy it. Customer insights help you stay relevant in a world of many choices and ensure you’re solving a problem, not wasting time looking for potential buyers. That means communicating with both current and potential customers in your target market and finding out what they want. Traditionally, manufacturers have been more concerned about marketing to the seller than worrying about the end-user. However, when the customer has a problem, it’s not Walmart or Target they complain about; it’s the manufacturer. One bad product and chances are that customer isn’t going to buy from you again. In fact, they’ll probably tell their friends not to buy from you, too. With unlimited options, why would they settle? That’s why it’s worth investigating the assumptions you have about your audience in the midst of a rapidly digitizing world and finding out how their expectations have changed to enhance your products and enhance the customer experience. Listening to your customers can be the secret ingredient to unlocking how to thrive in this digital era, when customers have more choices and own more of the buying cycle than ever. Customers often research before going to the store or buying a product online after hours of proactive searching. Or maybe they don’t. Maybe your customers don’t do any research at all. Maybe their concern is how quickly the product works or what the packaging looks like. Perhaps they only trust their closest friends’ recommendations. Maybe they make a decision based on the lowest price. It’s worth finding out and it’s worth finding out if those behaviors are changing. Digital transformation doesn’t just mean investing in more tools to deliver products quicker and cheaper, it can also mean investing in tools built to listen to customers so that you can spend your resources understanding and solving their problems. Listening used to mean surveys and closely watched focus groups. Now, within the realm of digital transformation, it means full product suites built to give you actionable information at scale, tracking the actions your customers take, not just what they’re willing to share with you in a manufactured group setting. Many organizations that listen to their customers do a good job of using those insights to influence their marketing and acquisition efforts; however, companies often overlook another key to consumer insights—their own employees. Think of these folks as another link in the chain. If they’re not able to deliver the promises made in your marketing efforts, then your customers aren’t likely to stick around for very long. One weak link and the chain will break. Imagine talking to potential customers and finding out they would choose you if you had a better return policy. So, you introduce a no-questions-asked return policy and spend thousands of marketing dollars to spread the word across channels. Yet the internal policy is for your employees to do what they can to minimize the number of costly returns. In no time, word spreads that you’re not upholding that no-questions-asked promise. It can be easy to overlook old policies or systems of incentives embedded in your organization that counter the expectations of the customer—especially when you’re faced with insights that have obvious marketing implications. But that is what transformation is really about—questioning the assumptions and finding new ways of operating that better serve your business, customers and employees. Dot your I’s and cross your T’s by investing in digital tools that enable you to sit in the seats of your audience (at scale) and your own employees. Find out what your customers experience when they search, what they ask their friends about, where they look at reviews, how they browse your site, why they make a purchase (and why they don’t), what makes them unhappy and what happens moving forward. Then take this information to your employees and empower them with the digital tools and processes they need to push your marketing efforts to the finish line. You know what questions to ask. You know what to do with the answers, and with marketing-focused digital transformation, you can apply them faster and in more ways than ever before. 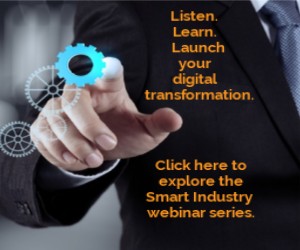 Need guidance on demonstrating ROI for digital-transformation efforts? Dive in here.